Jurnecka Creations offers corsets in a variety of styles, ranging from the historically accurate 18th century Marie Antoinette to the modern hybrid, the Elizabeth. 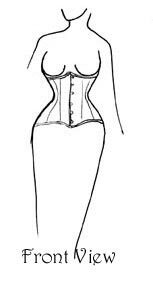 Since no two bodies are alike, having a corset custom-made is the key to obtaining a garment that will fit comfortably. 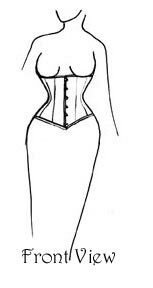 All Jurnecka Creations corsets are constructed with steel boning and lined with cotton. 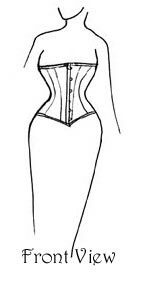 With proper care, your corset can provide years of wearing pleasure. Since each garment is made to your specifications, you are given utmost flexibility in selecting your fabric, colors, and desired embellishments. 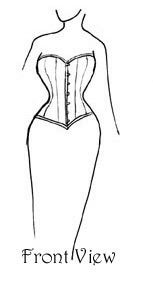 Click on corset for more information and style examples. 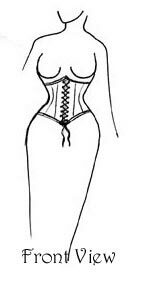 All corsets are lined in cotton and include a boned back protector. 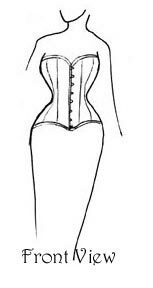 Personal fitting recommended for all styles. 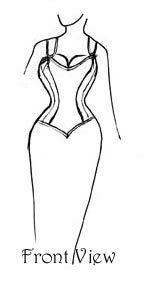 For costumes, bridal ensembles or special outfits, please inquire.